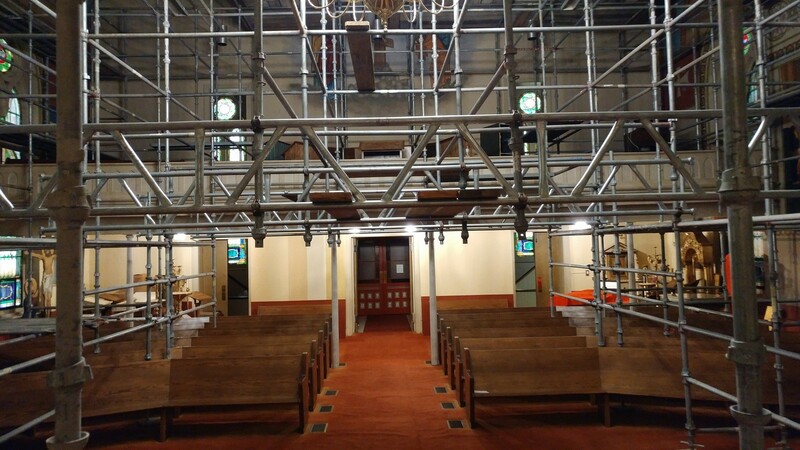 In preparations for their parish centennial in 2019, Holy Trinity Church in Baltimore, MD has begun the second phase of major renovations of the church interior. 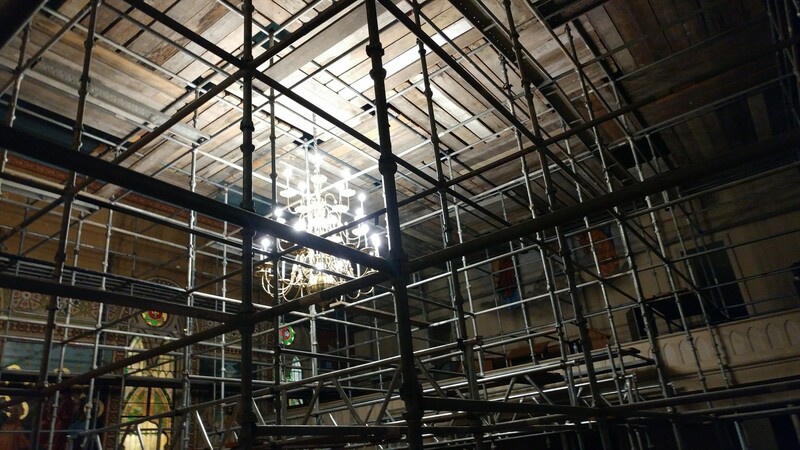 Scaffolding has been installed throughout the interior of the church and a large “dancefloor” has been placed at the top of the scaffolding for work on the ceiling. Throughout June and July, the plaster in many areas on the ceiling and the walls will be repaired and prepared for painting. All other areas will be scraped, skimmed and primed. Afterwards the final coat of paint will be applied. 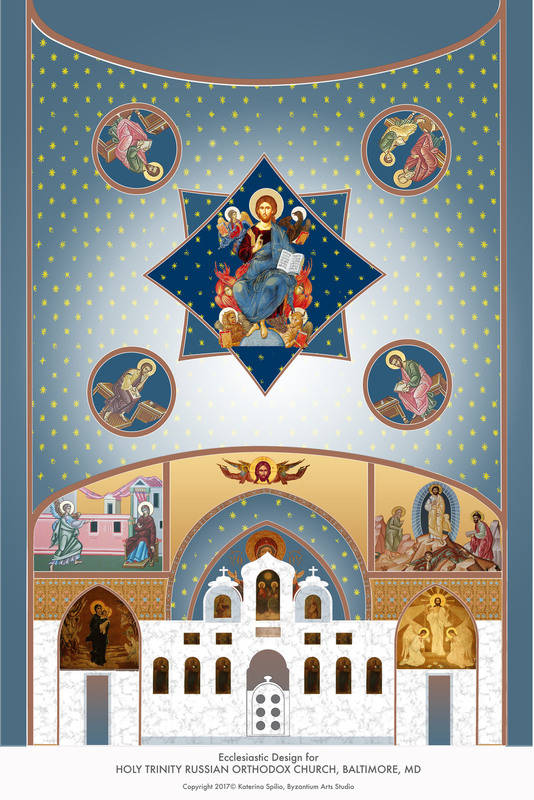 Then, by early August new icons will be installed on the ceiling and a new border design will be placed throughout the church. 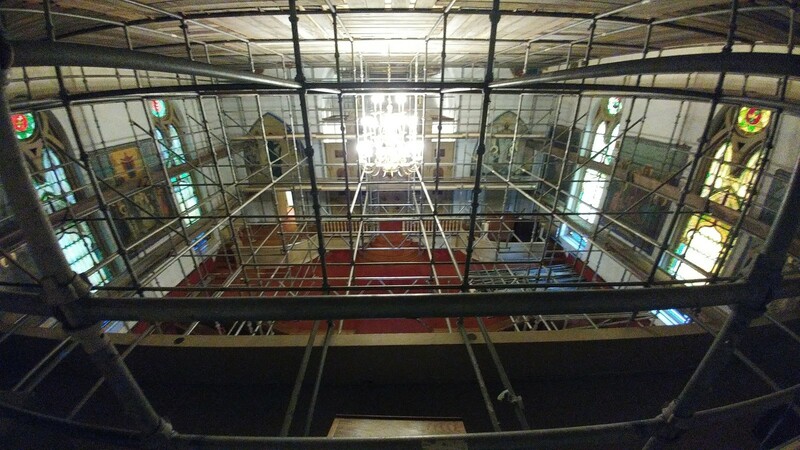 Regardless of the scaffolding, the clergy and parishioners will continue to serve Divine Liturgy in the church on Sundays throughout the summer. 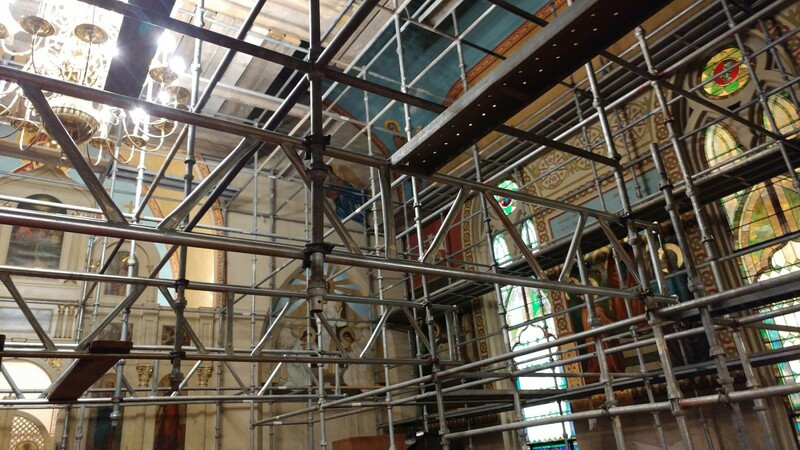 However, because of the scaffolding in the sanctuary, a small table – to serve as the altar – the Seven-Candle stand, and other icons have been placed in the center of the church for Divine Services. 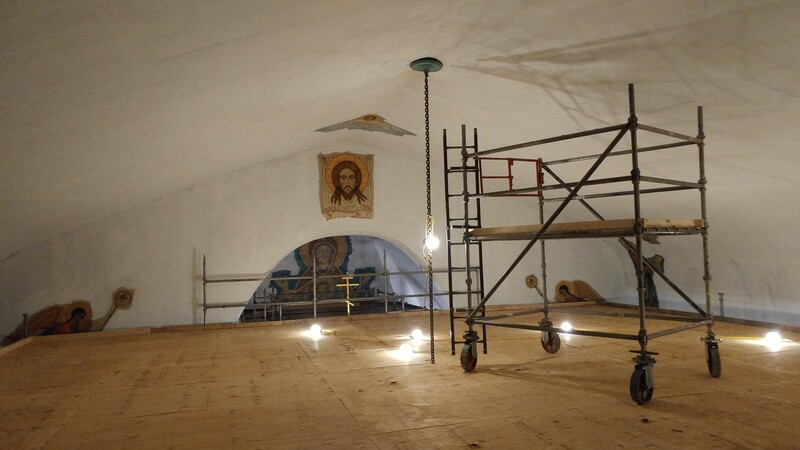 Archpriest John Vass, the rector of the parish, stated: “It is very important for us to pray in the church throughout this restoration work, especially to ask God to bless our efforts in beautifying His holy temple.” To make a donation, please visit http://holytrinityorthodox.com/. 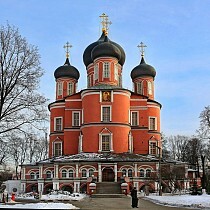 In December 2017 the parish completed the first phase of the restorations. 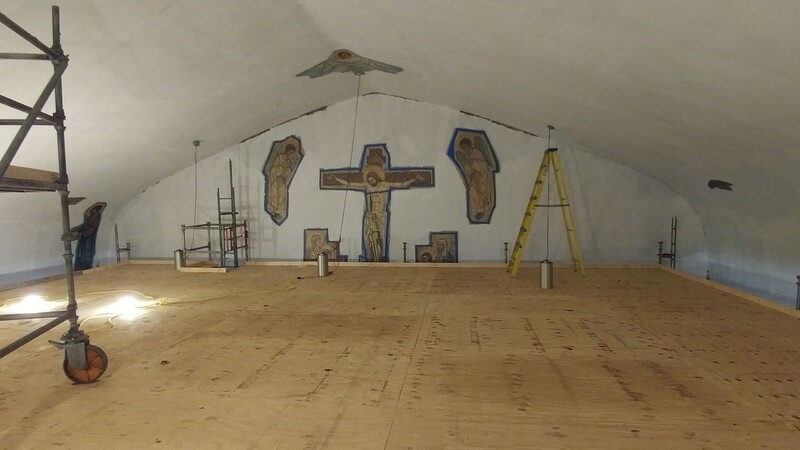 Katerina Spilio of Byzantium Art Studio Decorative and Conservation Arts cleaned and significantly enhanced the beauty of eight large icons (7’ x 9’) on the east, north and south walls of the church. The goal of Phase I was to create a transitional style that was neither austerely Byzantine, but no longer classic. Katerina and her iconographers made some corrections to the scale, perspective, shading and light. They tried to get the icons closer in style to the icons on the iconostasis. 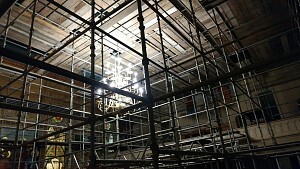 This will make the church more harmonious in style especially with the new iconography for the ceiling. Find more information and photos on Phase I renovations.